Really Great Thoughts For Today? It’s a wet slick windy cold day here. I do not even remotely want to venture outside today. Is anyone else tired of listening to Oprah tell the world that she loves bread? It can’t just be me. The girls were fussy about lunch today. Roxie devoured turkey and duck. Lucy walked away from it. And because I need her to eat…I cater to her! Roxie hates salmon…wild caught or not. And there is no meeting of minds on this one. They are staring at me. 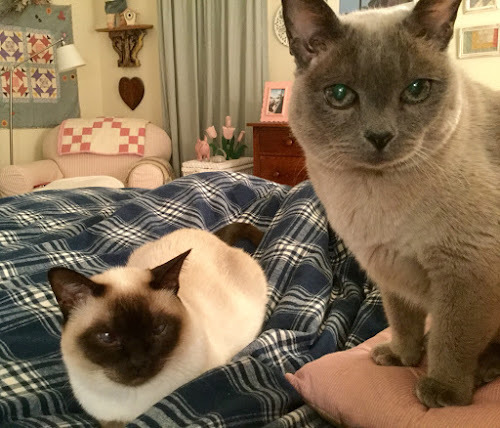 Mentally conveying to me that it is lunch time. If the double stare doesn’t budge me immediately…Lucy walks closer and taps my face repeatedly. Roxie just waits for Lucy to do all of the intense staring and tapping. 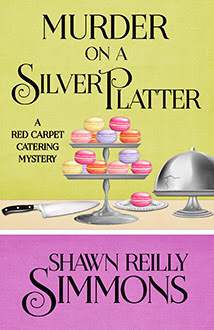 Finished this one…it’s fun…it’s cozy…it’s filled with yummy food descriptions! A new one is out in June! Reading this…historical fiction…takes place in the 40’s…war and relationships. So…Den is out in the wind and rain grabbing lunch and dinner. Wedge salads…this one is from Serious Eats but the ones we get look just like these. I really don't know why Oprah agreed to be the WW spokesperson. None of the other diets have worked for her. She needs to just embrace who she is and live with it at this point. It's torturous to watch her! I am with Lucy. Salmon is the way to go. We need to eat more salmon here. I do love a good lox. 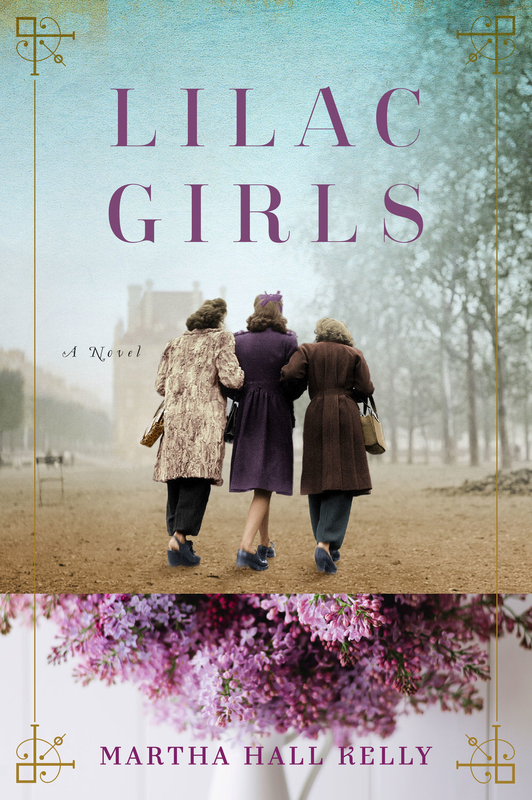 The cover of Lilac Girls totally reeled in me where I had to check out its rating on GR and since I saw what I liked, I added it. We had rain last night and serious wind all day today. I didn't know Oprah likes bread. 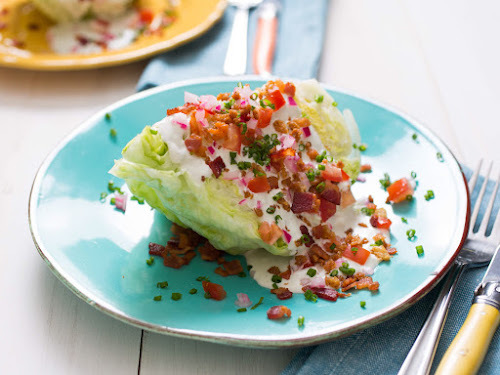 I love a great wedge salad. It was a gloomy day here too. Tons of rain and wind. The kind of day I wish I could just stay on the couch under blankets and read. That wedge salad looks tasty! Yes, Oprah definitely just needs to accept herself…when she was thinner, she wasn't that happy, according to some of what she wrote. She was hungry all the time! Yep…Lucy is all in to salmon! Agree about Oprah! That is literally what I did! Read and ate a wedgie salad! I know…Lucy really is funny. I find myself explaining things to her far more than I should. She is very judge mental. Heeheehee! Her bread ad is on Tv every time I turn it on…what is it about a wedge salad…that good old iceberg icy cold lettuce? Yum! Cats are always funny that way, and that murder book looks really good! !